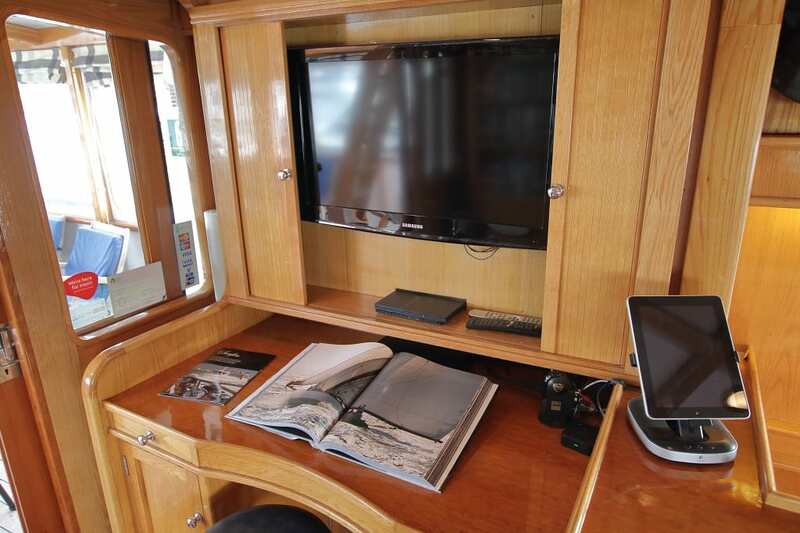 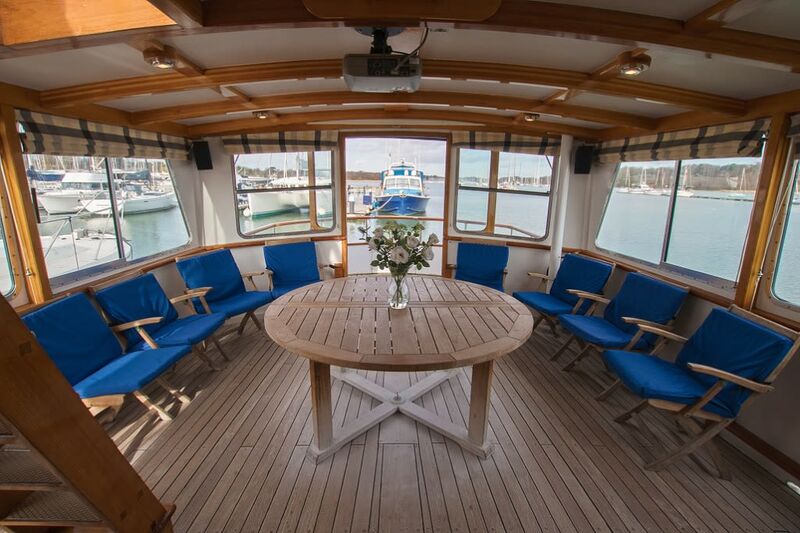 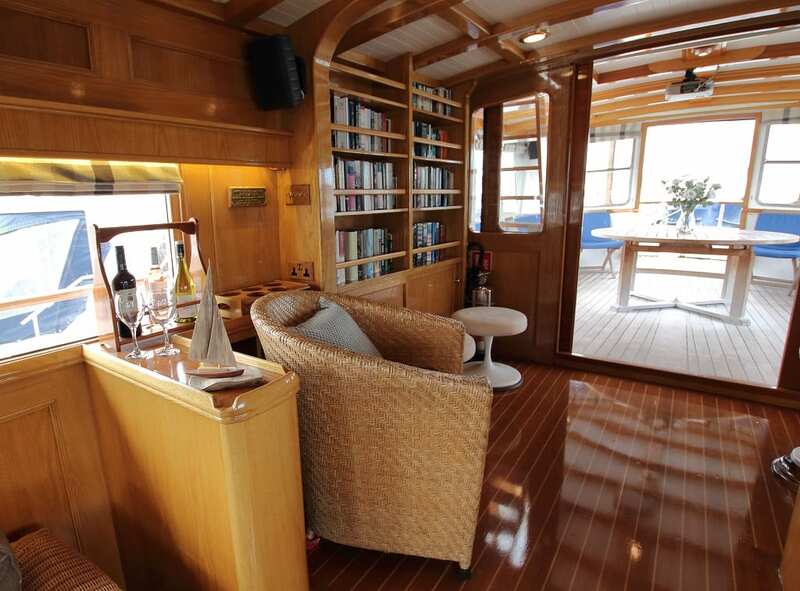 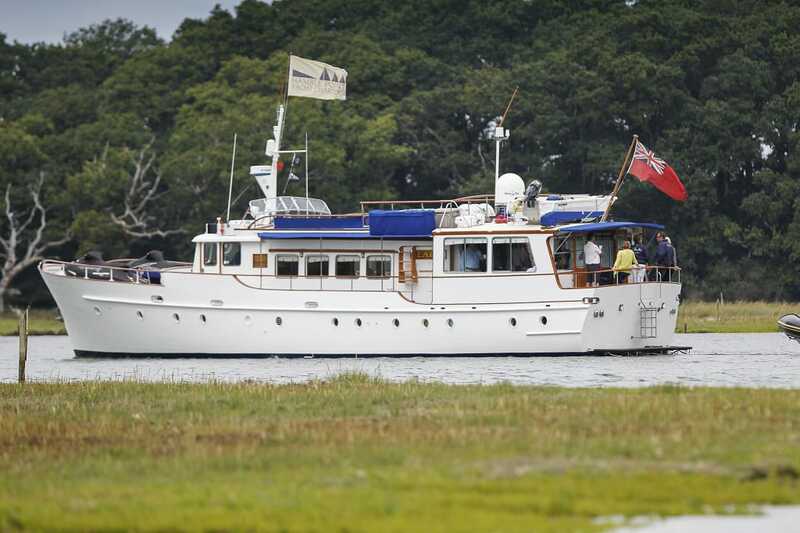 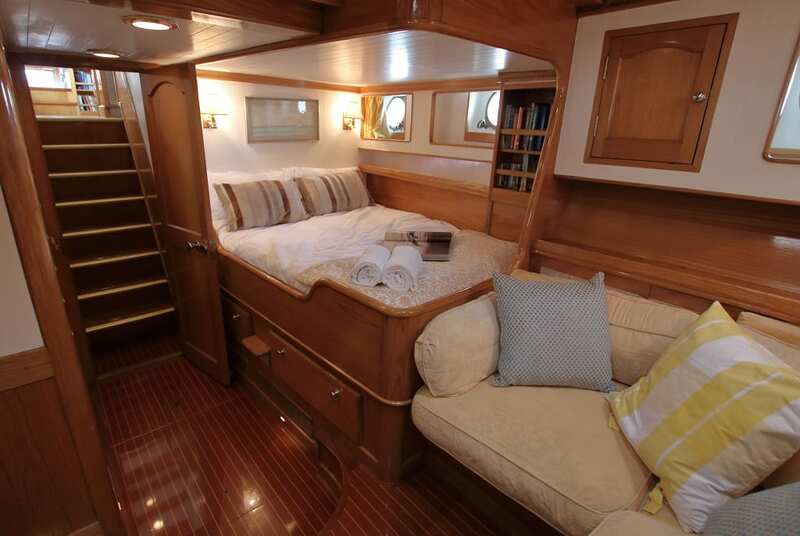 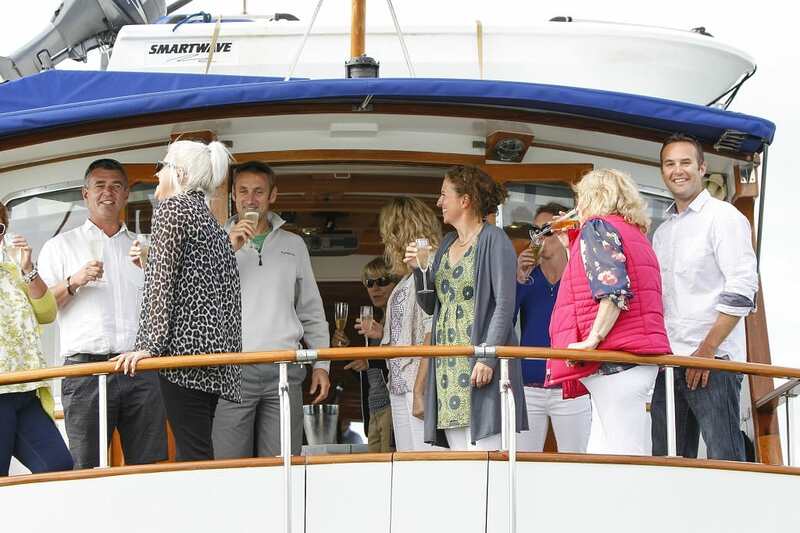 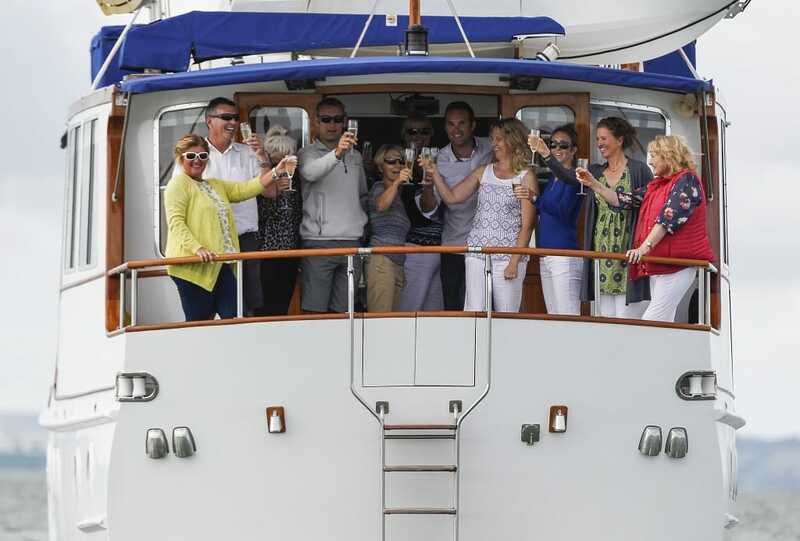 Seafin is the most elegant way to enjoy a luxurious and entertaining day out on the water. 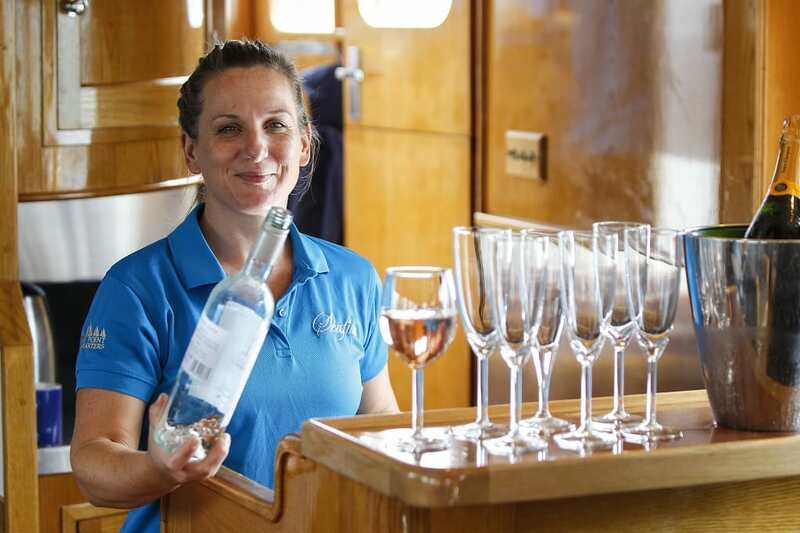 Catering is included on Seafin to ensure you have everything you need from breakfast through to afternoon tea. 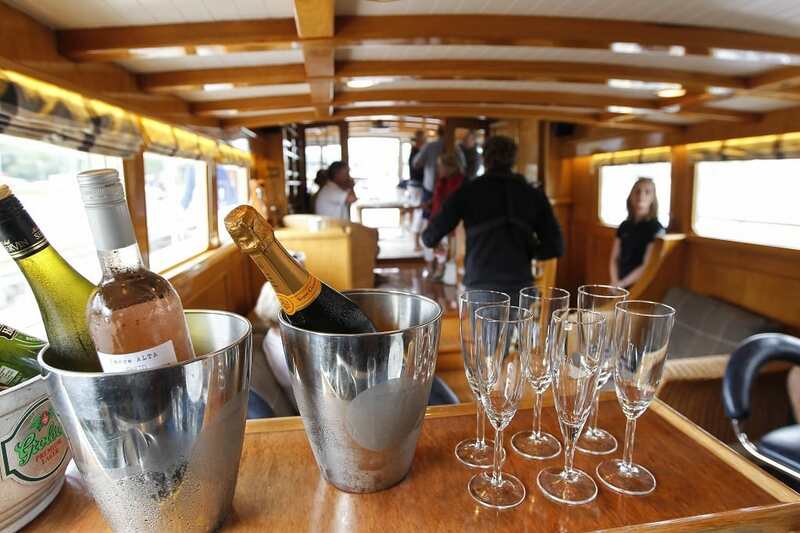 Lunch choices range from delicious sandwiches to ellaborate buffets with lobster and champagne. 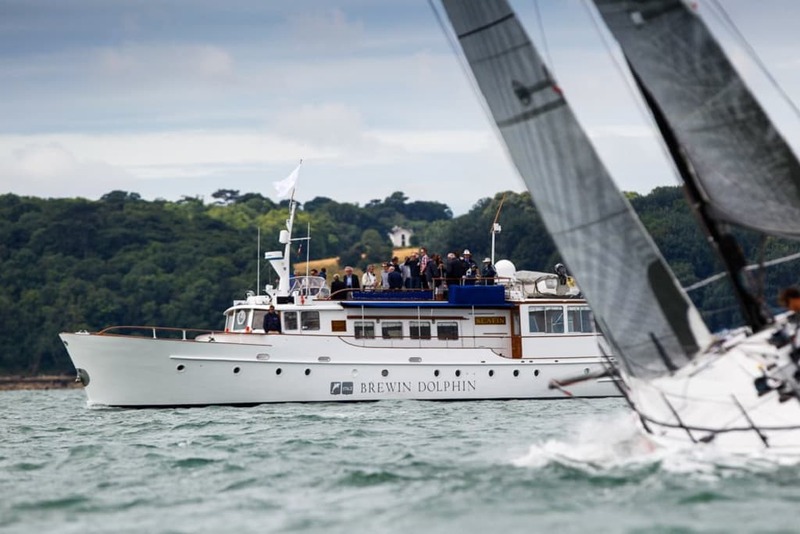 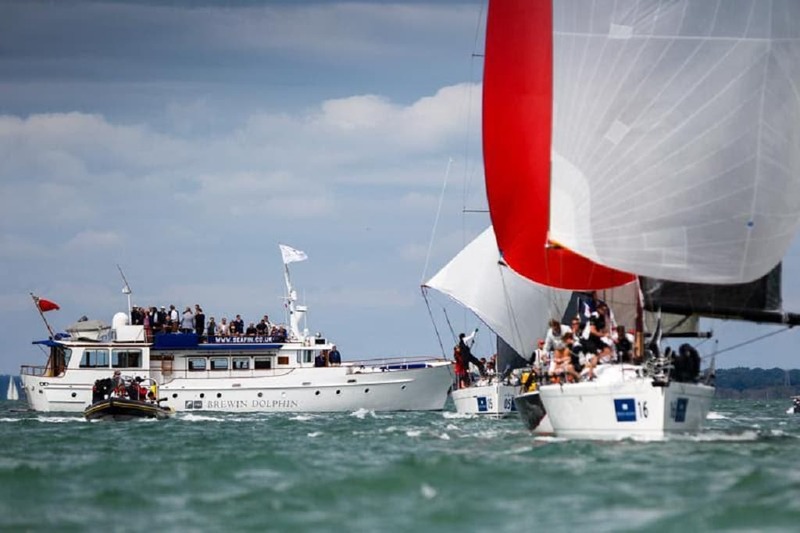 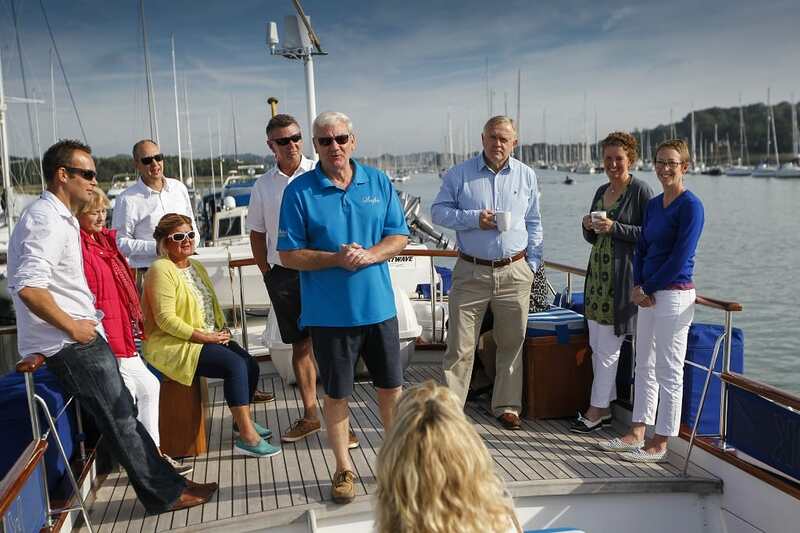 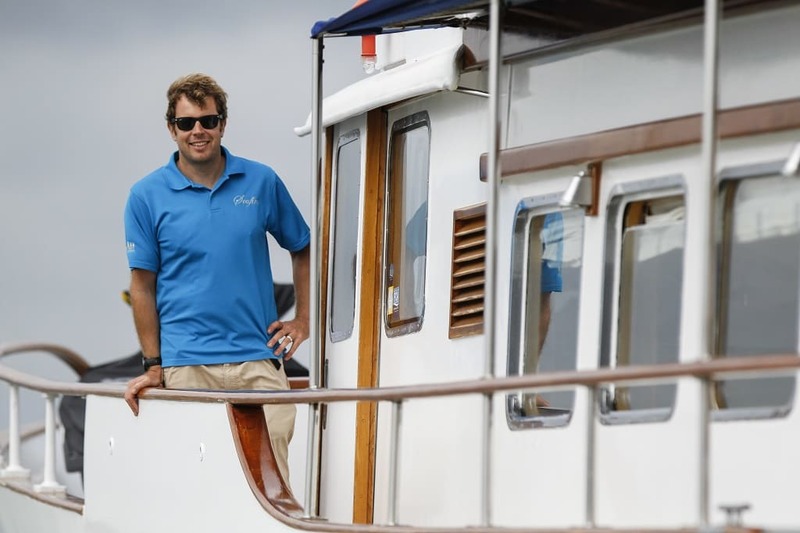 Sailors and non sailors alike appreciate the experience of cruising to Cowes, Beaulieu, or other Solent beauty spots, or further afield to France and the Channel Islands. 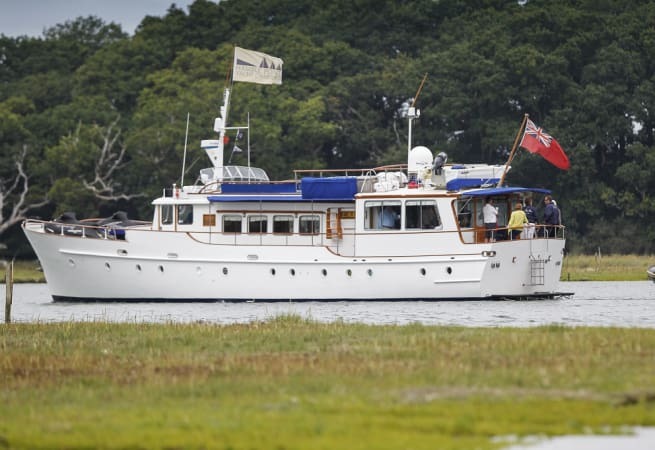 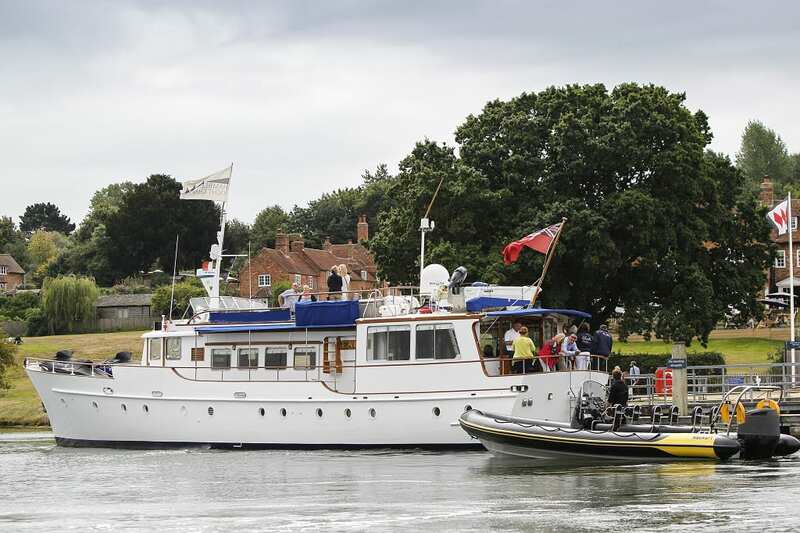 – Afternoon tea, and cruise back to Port Hamble. 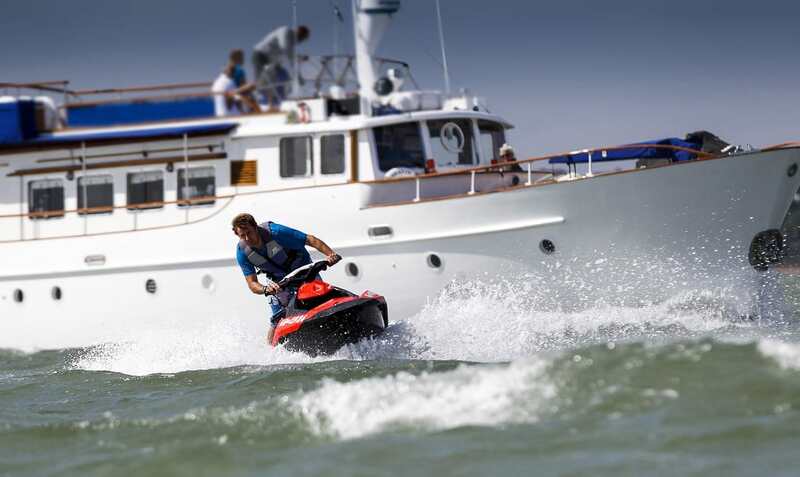 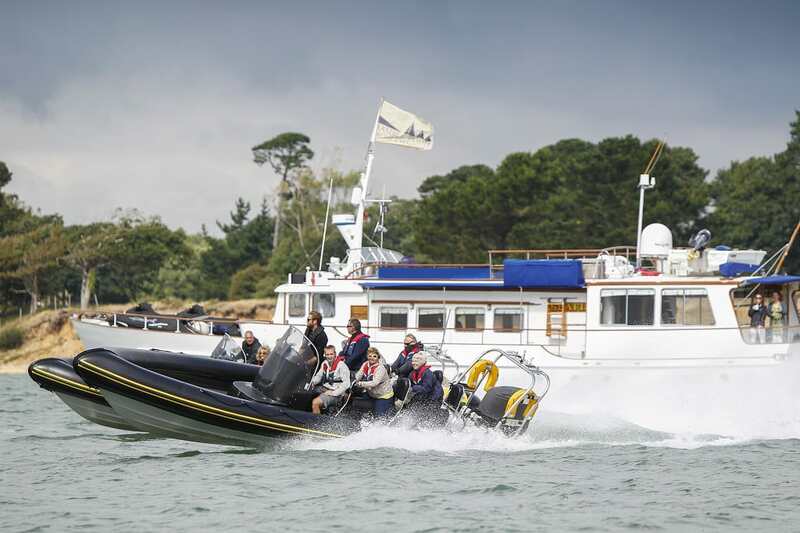 Seafin offers exceptional value for money, with a unique fully catered with licensed bar, cruise of the Solent, jet-skis and paddle boards and a professional, attentive crew all included. 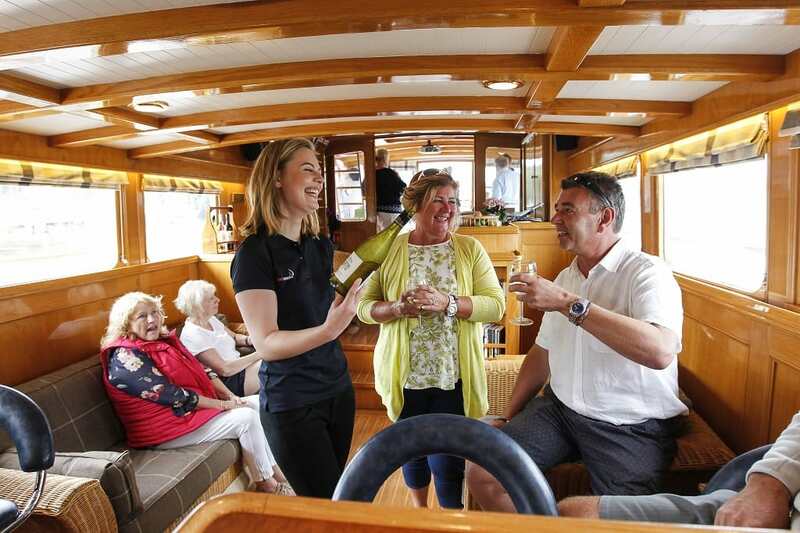 Catering is included as standard, and includes a light breakfast, hot and cold buffet lunch, afternoon tea and wine, beers and soft drinks throughout the day! 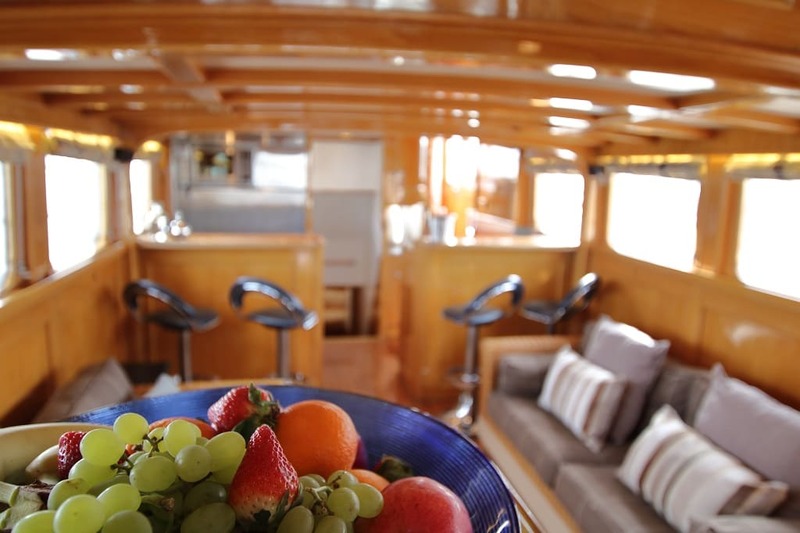 A welcome Pimms or similar on arrival is also available as part of the package. 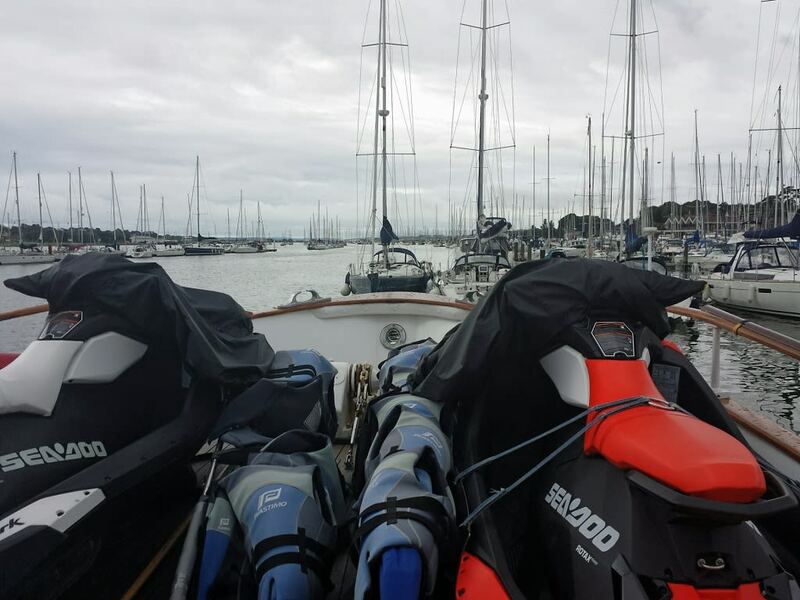 Prices are based on pick up and drop off from Port Hamble and include fuel and mooring fees. 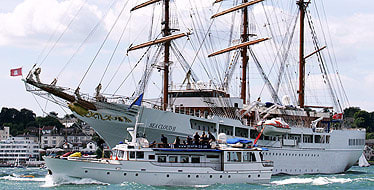 Alternative pick-up or drop-off points are available but may incur an additional cost. 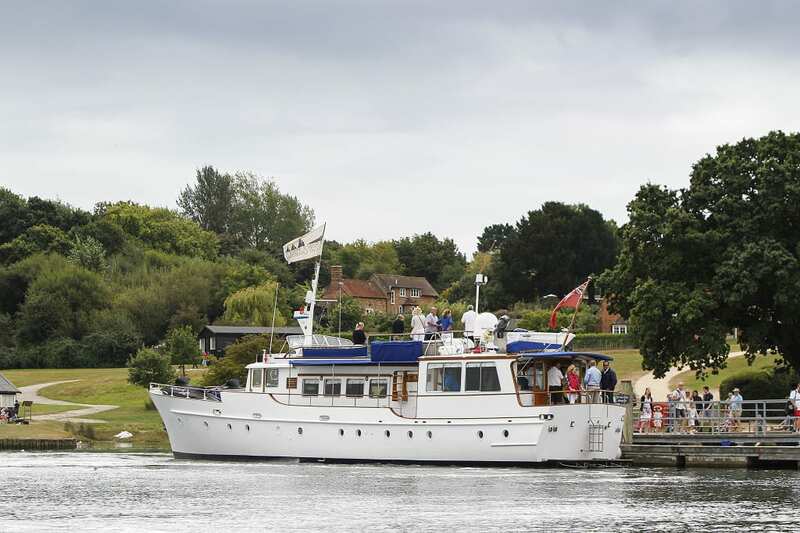 Please ask us in the Boatafloat message centre.